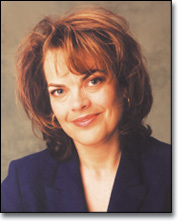 From her first job as campaign coordinator for a Member of Congress at age 19 to building an international publishing company with over $10 million in assets by age 29, Janet Switzer epitomizes the personal achievement and professional accomplishment that comes from applying proven principles of success and income generation. Today, she's the co-author of New York Times and USA Today best-seller The Success Principles: How to Get From Where You Are to Where You Want to Be with Jack Canfield. As well, she’s the marketing genius and business growth expert of choice for some of the world’s leading businesses and success gurus: Chicken Soup for the Soul, master motivator Mark Victor Hansen, marketing icon Jay Abraham, Internet income expert Yanik Silver and Jesus CEO author Laurie Beth Jones, among others. Janet’s counseled more than 50,000 companies and entrepreneurs worldwide in leveraging their intangibles and information assets for untold millions in potential windfall revenue. She's the author of the Instant Income® series of small-business resources designed to help entrepreneurs not only create immediate cash flow for their business but develop lucrative new profit centers, too. For details, visit www.instantincome.com. Janet is an internationally-recognized keynote speaker and Founder and Editor of Leading Experts magazine — as well as a columnist with Training Magazine Asia and numerous newswires and press syndicates. She regularly speaks to thousands of entrepreneurs, independent sales professionals, corporate employees and industry association members on the principles of success and income generation. Additionally, she helps achievers who are experts in their field attain worldwide status and million-dollar incomes by building publishing empires around their business strategies, training concepts, industry expertise and unique market posture. Her multi-media short-course How Experts Build Empires: The Step-By-Step System for Turning Your Expertise Into Super-Lucrative Profit Centers is the industry’s definitive work on the subject of developing and marketing information products. Janet makes her home in Thousand Oaks, California where she belongs to Calvary Community Church and works with young people as a local 4-H Club project leader — a role she’s enjoyed for nearly 20 years. To bring Janet to your next event, call (805) 499-9400 or visit www.janetswitzer.com. To subscribe to Leading Experts e-Magazine, visit www.leadingexperts.net.